Apple made wireless charging cool again. After Sony and Google have once again banned the feature from their protective covers or directly from their smartphones, Apple comes along and jumps on the bandwagon with Samsung: Charging your phone by setting it down is cool again. We spoke with Menno Treffers, who directs the Wireless Power Consortium behind the Qi standard. What is the best way to charge your phone? In 2008, Menno Treffers was still working at Philips when he founded—on behalf of his then employer—an alliance with a mission to do away with cables that transferred small currents. After its founding, the Wireless Power Consortium had eight members; today, it has roughly 300 members. This consortium agrees on technical specifications, so that users can rest assured that their Qi charger can be used for any device that can be charged via Qi. As such, the Samsung Wireless Charger will also work for the iPhone 8 or iPhone X . But does it work just as well? “Devices can charge each other license-free up to five watts. Beyond that, it depends on the licenses that the manufacturers have issued to each other.” Certain quick-charging technologies like Qualcomm Quick Charge, Samsung Adaptive Fast Charge, or Apple’s new fast-charging system are subject to separate conditions that are not covered by the Qi standard. Nevertheless, membership in the Wireless Power Consortium requires that all patents be licensed under FRAND conditions so they remain affordable. But Treffers was unable to give us exact figures on the licensing fees; we would have to ask the respective patent holders, although they beat around the bush when it comes to providing such industry information. 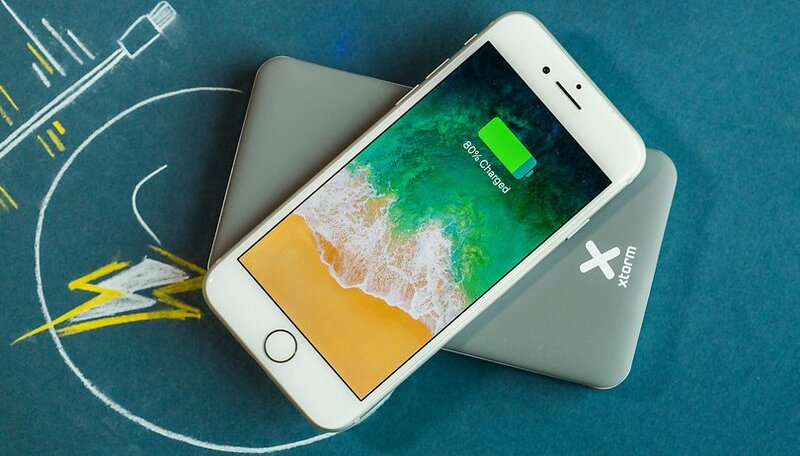 Over the past few days, we have obtained a few different Qi chargers, and—to our delight—we discovered that some of them support fast charging. However, we will examine them one by one in a separate purchasing advice article. In conclusion, you can already say that the quick-charging standards of many third-party Qi chargers are making inroads, meaning that Samsung’s Adaptive Fast Charge even works in low-cost Choetech charging accessories if you use Samsung’s power adapter. Apple’s quick-charging technology is not yet ready at the end of October and will be delivered in a subsequent software update. Then we shall see if we can get that same delightful speed. Now it looks like Qi is bringing the interoperability that we had long hoped for from this common standard. Afterwards, IKEA will finally sell the Qi furniture it introduced in 2015 in large numbers, which will finally prove Hans-Georg wrong. Then, at last, the days of expensive $60+ chargers will be over. I hope we won't all be forced to use Qi. I tried it before and I really didn't like it, it's fiddly to put the phone so it charges, I find it hard to pick it up at night and place it back correctly, sometimes it doesn't charge at all, so no thanks. Cable is reliable and I can handle the phone next to the bed without worrying it won't be charged for the next day.